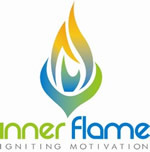 Inner Flame is a 3 year old Youth Charity based in Swindon, Wiltshire. The organisation was originally set up to provide residential courses for 14 to 19 years olds in order to inspire them to reach their full potential and live happy fulfilled lived. In three short years the number of courses Inner Flame now runs, the diversity of those courses, and the demand for courses for a slightly older audience has grown significantly. Funding and staffing of the charity have become an on-going challenge as all of the coaches, trainers, outreach and office staff are all volunteers. The board of trustees, founders and management team really needed to find a way to identify strengths in the organisation in order to ensure people’s time and skill is put to best use. They required a focussed way to take stock of where they had got to and where they want to go and to discover what is currently standing in the way of that progress. The Inner Flame team completed Step One on the Talent Dynamics Pathway. This full day workshop began with an exploring the various profiles and discovering through the profiling system, where each of the team members centre of gravity was on the Talent Square. This was invaluable as it quickly highlighted where gaps in skills were in the team and explained a lot about why certain challenges were so prevalent. A great platform for later in the day when we turned to a solution-based focus to move the organisation forward. The session was enthusiastically received and needed in order to re-focus the management team in their priorities and shared vision of what they are looking to achieve. Identifying where the blocks were for them created valuable discussion and ideas for progress and a concentration of effort flowed. One of the main benefits of the day was in clarifying people’s roles and responsibilities within the charity, allowing them to concentration on their area of expertise. A much more targeted approach has taken place in recruiting team from a board of Trustee level down to volunteer level. The profiling tool identified that the charity was led by predominantly Creators, Stars, Lords and Mechanics and really needed to find people to balance the square in terms of supporters, deal-makers, traders and accumulators. The rebalancing of the team will not only allow the original members to do what they enjoy most but it brings a longer term stability to the volunteer team too. The impact of this is that the right people are able to work on funding bids and tender applications to increase revenue. Applications are in with a number of funding sources and have already been awarded for Princes Trust Team, projects run in conjunction with Swindon Borough Council and Educational Grants.